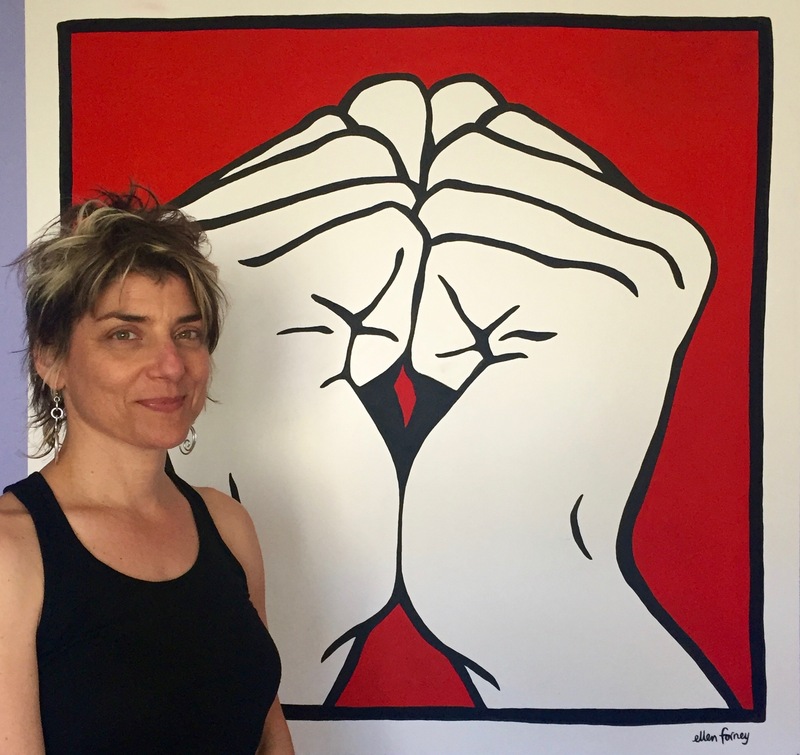 The great Seattle cartoonist Ellen Forney joins the show to talk about comics, civic art, being bipolar, and the challenges of maintaining! 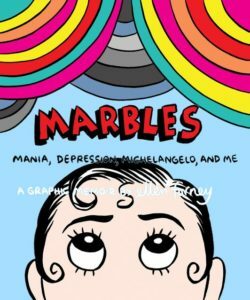 We get into her 2012 graphic memoir, Marbles: Mania, Depression, Michelangelo, and Me, finding a graphic representation of her depressive states, the evolution in her drawing style, the letter she stole from Michael Dougan, the process of going from comics panels to enormous murals for a light-rail station in Seattle, the influence of the Moosewood Cookbook, the importance of a psychology stats class she took in college, how she learned to teach comics, the moment when she felt she was using all her artistic tools, and why she needed Kaz to design her back-tattoo! Give it a listen! And go buy Marbles ! 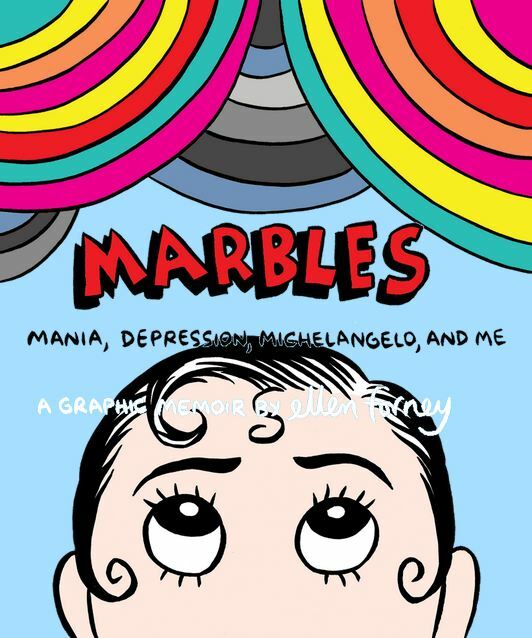 Cartoonist Ellen Forney is the author of NYT bestseller Marbles: Mania, Depression, Michelangelo, and Me: A Graphic Memoir , and the 2012 “Genius Award” winner in Literature from Seattle’s The Stranger. She collaborated with Sherman Alexie on the National Book Award-winning novel The Absolutely True Diary of a Part-Time Indian , created the Eisner-nominated comic books I Love Led Zeppelin and Monkey Food: The Complete “I Was Seven in ’75” Collection , and has taught comics at Cornish College of the Arts since 2002. 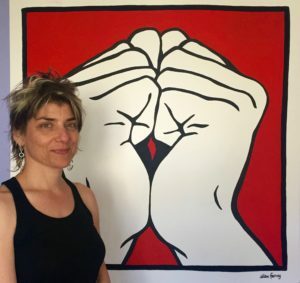 She grew up in Philadelphia and has lived in Seattle, Washington since 1989. Ellen swims and does yoga, and fixes things with rubber bands and paper clips. Credits: This episode’s music is Nothing’s Gonna Bring Me Down by David Baerwald, used with permission from the artist. The conversation was recorded at Ms. Forney’s home on a pair of Blue enCORE 200 Microphones feeding into a Zoom H5 digital recorder. I recorded the intro and outro on a Heil PR-40 Dynamic Studio Recording Microphone feeding into a Cloudlifter CL-1 and a Mackie Onyx Blackjack 2×2 USB Recording Interface . All processing and editing done in Adobe Audition CC . Promo photo of Ms. Forney by Jacob Peter Fennell. Back-at-her-desk photo and by-the-canvas picture of Ms. Forney by me. They’re on my instagram.